Arabian Sea active again ? The low pressure area over Commorin area and neighbourhood now lies over Commorin-Lakshadweep area. A trough in mid & upper tropospheric westerlies now runs roughly along Long. 72° E to the north of Lat. 20° N.
As a result of the above, we have reports of heavy rainfall in the extreme south peninsular and all along the west coast. Some heavy, and unusual rain figures for the 24 hrs. ended 15th. are :Gingee (Villupuram dt) 18, Orathanadu (Thanjavur dt) and Kanyakumari 17 each (10.6 again on Monday), Adirampattinam 10.8, Thiruvanthapuram 10.4, Thanjavur 9.9, Kottayam 8.6,Panjim (Goa) 5.0, Kaveli 4.9, Cannur 4.3, Agumbe & Mumbai (Colaba) 3.9 each. Also, some more complicated interactions like this upper air tropospheric trough interactiing with the induced low of the W.D. and bringing in moisture from the Arabian Sea has brought rain along the west coast and into Maharashtra in the last 2 days. The prevailing systems will move away north-eastwards, and bring clearer and colder weather to the north-west and north by Monday, thereafter bringing low temperatures. Now, what about this new low ? International models predict the low could either move up to the Karnataka coast, or westward from Lakshadweep away from India’s coast. 2 obvious directions !! One more day of cloudy and light rain conditions for Mumbai on Monday. Rainy conditions will clear from Tuesday onwards. ( for the time being??). An easterly wave seems to be on stream to renew the rain periods for the south from 18th. 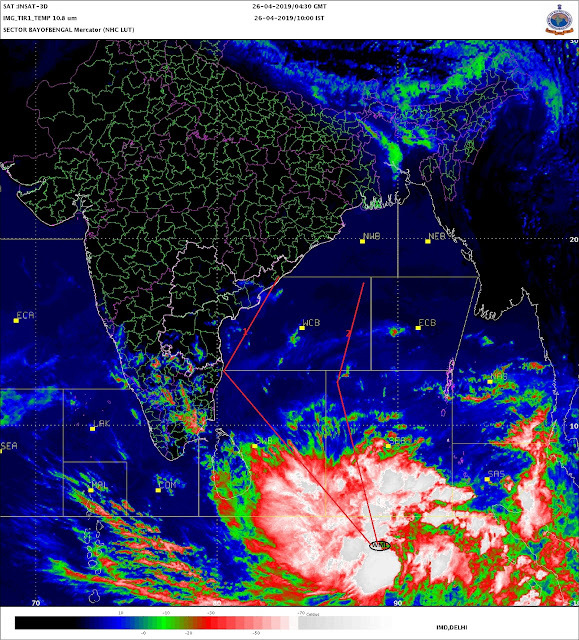 resulting in very to heavy rains over Sri Lanka, southeast Tamil Nadu and south Kerala. ECMWF too predicts an easterly wave with another ‘low’ just east of Sri Lanka by 20th.